Racing, for all of its foibles, is one of the insaner sports. Drivers routinely risk life and limb in the ways that other professional athletes do not. Yes, football is full of concussions, and yes, hockey players get slashed every now and then, but only in racing is the risk of death not some far-off specter in the back of one's mind. But racing is pretty crazy for another reason. Only in racing can an athlete win the championship before it's even over. Think about how crazy that is. What if the NHL handed the Stanley Cup over to the New York Islanders (because they are the greatest team of all time ever and forever) before anyone hit the playoffs? That's what we've got now in Formula One. A nice young German man named Sebastian Vettel has already wrapped up the title, and there are still races on the calendar. The race I'm thinking of specifically is this week's stop in Abu Dhabi. So what now? Well, there are still plenty of drivers on the grid. And while second place is first of all the losers, all those other guys still want jobs next year. And when you're competing for a job in one of the most competitive fields on earth, you can bet your bottom dollar that they'll still be racing. 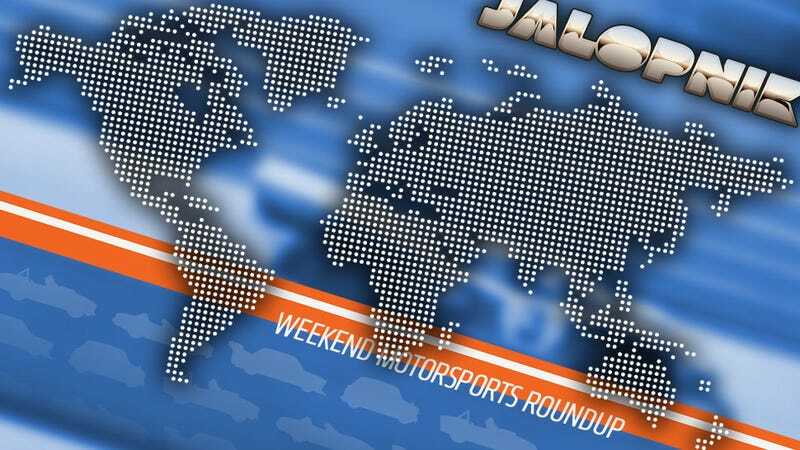 The other big news for this weekend is the NASCAR Sprint Cup debut of rally car designer, racer, and, most important of all, Jalopnik Contributor Parker Kligerman. Parker's already proven he's got the chops teaching us how to go fast, and with the wings of angels behind him (read: los Jalops) there's no way he can't take the checkered flag and all the glory. We're rooting for you, Parker.